The Always-On Customer has arrived. Now that she’s here, we are seeing the fulfillment of early prophecies about dangers and opportunities related to the 21st-Century Consumer. One such “prophecy” is the model of the “Personal Cybersphere”. Developed by Paul Fleming in 2001 to explain Gen Xers’ initial resistance to digital campaigns, its importance has only grown with the emergence of Millennials and Gen Z consumers. This invisible, “protective” shield -- made up of four successive levels (the “4 Rs”) -- envelops your customers, blocking your Marketing messages. Destroying them, too, for they are never seen. and we’ll even reveal the “secret password” to help you get started! In early 2001, Paul and his team detected incipient resistance to Digital Marketing and Online Advertising campaigns by what Carol Samms first called “The First Digital Generation”. These initial “surfers” didn’t suffer the same amount of “Infotoxication” (Alfons Cornella) as we do today; nevertheless, they did begin to feel the stress and started to filter out information. As a result, Paul developed the “Personal Cybersphere” as a way to explain diminishing returns in some of the first digital campaigns, along with solutions to optimise them. The 4 consecutive “Rs” of Recognition, Response, Respect and Relationship would guide the creative strategy of Barcelona Virtual from then on. In September of 2001, he published further reflections about the Cybersphere in the Spanish trade magazine CONTROL in an article titled “La Ciberesfera, una teoría en plena expansión: la sociología, así como la publicidad, avala una nueva tesis sobre la Generación Digital”*. He developed the model in more detail over the years following, which was later adopted in articles about the Digital Generation by the Spanish government’s Instituto de la Juventud, INJUVE. 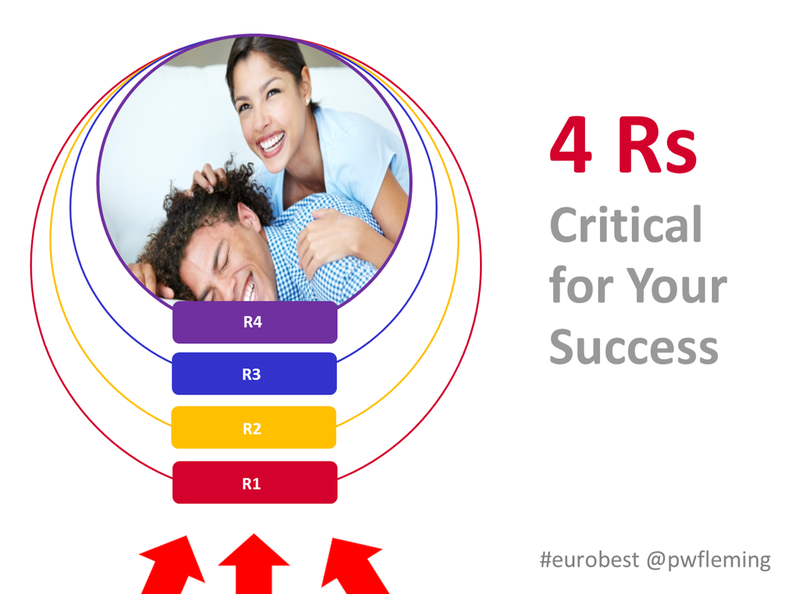 In a series of posts here on the blog, we will examine each of the “4 Rs” separately and in detail. Our mission: to help you craft creative and effective communication with Millennials, Gen Y … and beyond! * “The Cybersphere, A Theory in Full Expanision: Sociology, As Well As Advertising, Validates a New Thesis about the Digital Generation”. CONTROL, September 2001. "The Personal Cybersphere" and "The 4 Rs" are © Copyright Paul W. Fleming. 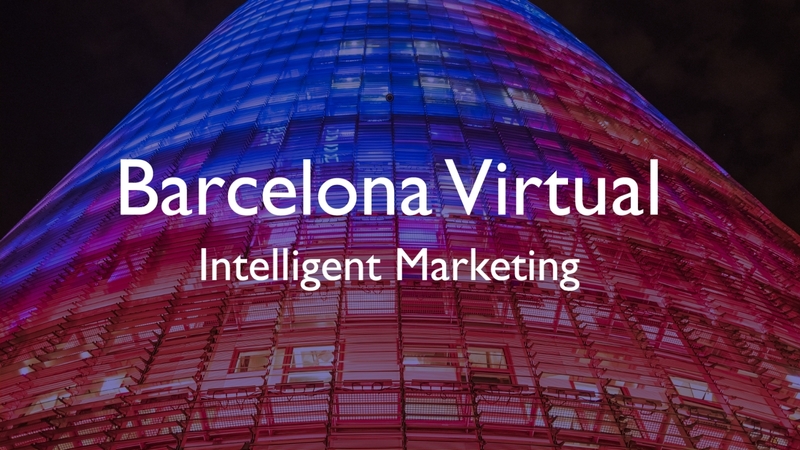 Welcome to the Blogs of Barcelona Virtual, Intelligent Marketing. Please visit us at our web and our older, specialised blog on VR,3D & Virtual Reality Marketing Mundos Virtuales. To view selected presentations from Paul's classes & conferences, please visit his Slideshare. This video with the interview of Amazon founder Jeff Bezos by the CBS news programme 60 Minutes should be an obligatory part of the curriculum in business schools, worldwide. Copyright 2019 Barcelona Virtual. All Rights Reserved.